A boat transporting the survivors from a fishing vessel that caught fire is expected to arrive in Bermuda tomorrow morning, where an injured crew member will be taken directly to Bermuda’s airport, and then flown by U.S. Air Force aircraft to the U.S. for further treatment. The fishing vessel ‘Pioneer’ caught fire approximately 900 miles southeast of Bermuda on Tuesday, and all 19 crew were recovered from the water, however one crew member has since succumbed to his injuries. The Bermuda Maritime Operations Centre said, “M/V K Coral continues under best speed towards Bermuda to disembark survivors from fishing vessel ‘Pioneer’, following a fire on-board approximately 900 miles southeast of Bermuda, early Tuesday morning. “All 19 crew were successfully recovered from the water following on scene searches by M/V K Coral and M/V Cherry Point; however, two survivors suffered third degree burns, requiring further medical treatment. “A U.S. Air Force aircraft was deployed offshore yesterday afternoon where para-rescue swimmers with advanced medical training, were parachuted into the area to render medical assistance. “One crew member has since succumbed to his injuries while the remaining 18 survivors continue to undergo evaluation and treatment by U.S. Air Force rescue swimmers now on-board. 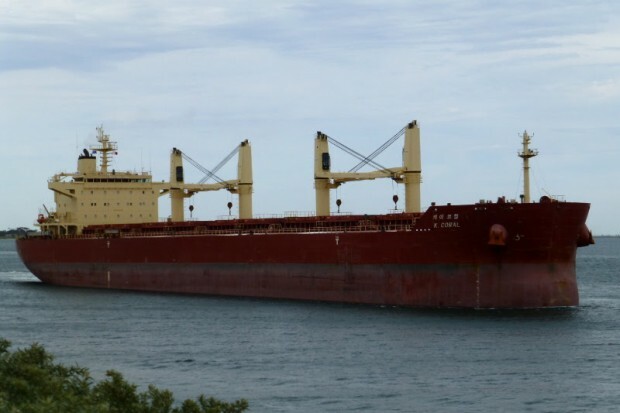 “M/V K Coral is expected to arrive off the East End of Bermuda at 8am tomorrow morning, where the injured crew member will be taken directly to L.F. Wade International Airport, and flown by U.S. Air Force aircraft to the U.S. for further treatment. “The Coast Guard is extremely thankful that the Air Force was able to support this mission with pararescuemen,” said Cdr. Stephen Matadobra, the Coast Guard Search and Rescue Mission Coordinator for the case. Sad.. Bermuda don’t go no boats that can go out 1000NM and back in good time. Whats good time? For a boat big enough and to carry the fuel, you’re looking at a 20hr round trip. Much quicker to parachute medics aboard and hitch a ride back. You will hear more about this in the coming days and years.